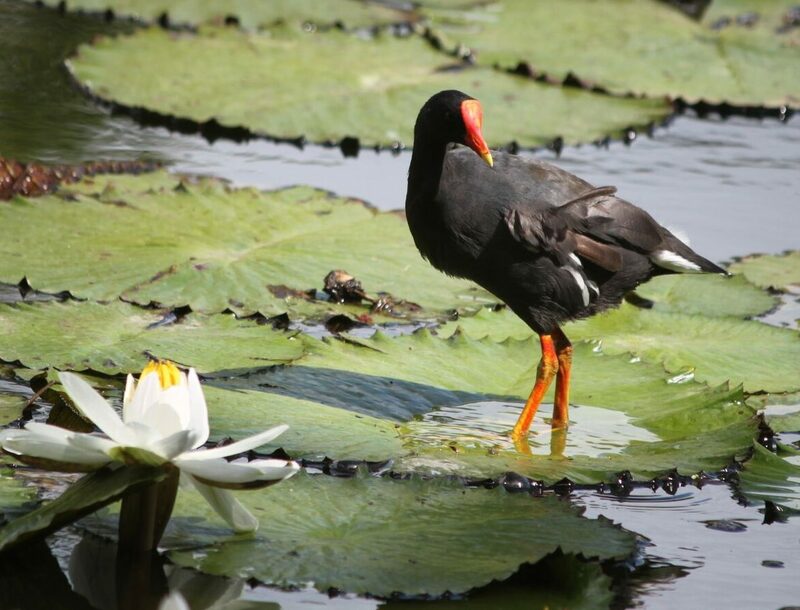 Welcome to the sighting report page for the Hawaiian gallinule (`Alae `ula) movement study. Researchers at Tufts University, U.S. 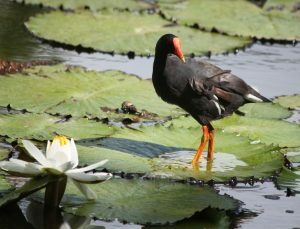 Fish and Wildlife Service, Hawaii Division of Forestry and Wildlife, and U.S. Geological Survey are collecting data on the habitat use and movement of the endangered Hawaiian Moorhen on O`ahu. To date, we have banded 248 `Alae `ula at 13 different locations on O`ahu (See map below). 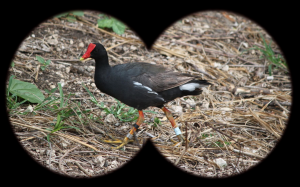 The colored bands with which we tag `Alae `ula give each bird a unique identity, and each time a bird is spotted in particular a location it contributes directly to our efforts to understand `alae `ula behavior. Understanding the movement habits of `Alae ula contributes directly to their conservation as an endangered, endemic Hawaiian subsecies. Want to help us learn about Alae `ula ecology and behavior? Seen an `Alae ula recently? 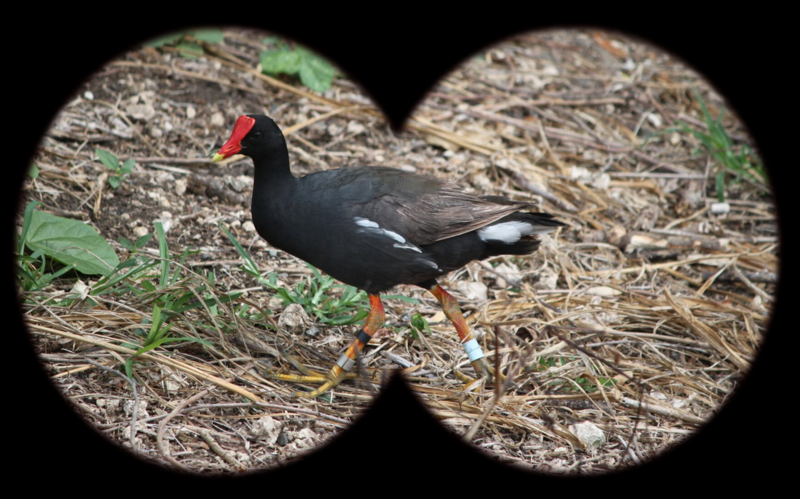 Please submit your banded `alae `ula sightings using the form below, and feel free to contact Charles.van_Rees@tufts.edu or Michael.Reed@Tufts.edu if you have any questions, or would like us to correct or change an entry. Mahalo! For inquiries regarding this research project please email Charles.van_rees@tufts.edu or Michael.Reed@tufts.edu.